This one is not quite as sweet as some sangrias, though you can sweeten it with more honey. The grapes are a nice addition, and they are yummy to nibble while drinking! 1. 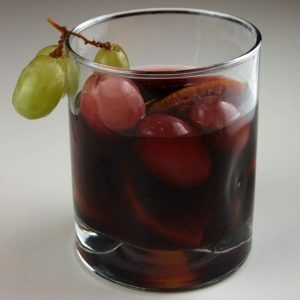 Combine all ingredients except club soda and grape clusters in a pitcher. Stir well. 2. Refrigerate for 2 to 24 hours to allow the flavors to meld. 3. When ready to serve, add club soda. 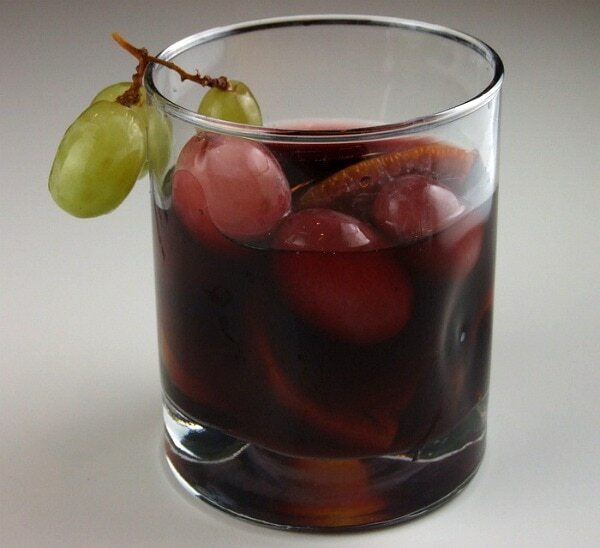 Serve with fruit pieces or over ice, in glasses garnished with small clusters of green grapes.